The average property prices in Peterborough are approximately £258,148 for a detached house, £134,288 for a terraced house and £98,601 for a flat. Property prices have increased by 4% in 1 year, which makes Peterborough a good place to invest. Peterborough has a population of 190,461, an average income of £26,000 and is well connected, within 1 hour of both London and Cambridge. Experience city life in the heart of rural East England. Peterborough and its region have an important place in the history of Britain and the modern city continues to grow in importance and in the right way. Visit Peterborough, you will find a heritage city, an environment city, an event city and a modern exciting cosmopolitan place. Enjoy the city, we do. Whatever you may be looking for in a city, Peterborough has the perfect mix. From heritage attractions to countryside walks, nature reserves and villages with events throughout the year. Experience Peterborough's magnificent Norman Cathedral a special experience of beautiful grounds and majestic architecture. Follow the heritage trail to be transported back in time at Peterborough Museum. Rural Peterborough highlights across John Clare country are Burghley House, John Clare Cottage and Sacrewell Farm and Country Centre with its historic Watermill. Enjoy the exciting events taking place at the Peterborough Arena. Take the children to the Green Flag award-winning parks or over 20 nature reserves and country parks to Ferry Meadows Country Park for a relaxing walk around the lakes and woodlands. Peterborough is a vibrant regional shopping centre, such as Queensgate hosting John Lewis to Peterborough Garden Park and independent stores across the historic centre with a City Market. When the daylight fades experience Peterborough's nightlife. There are two theatres offering drama, ballet and concerts, the Key Theatre and the Cresset Theatre; for food and drink a diverse selection of restaurants serving cuisine for every palate, cocktail bars and nightclubs open until the early hours. The city has 4 sports stadia football with Peterborough United (The POSH), speedway every Tuesday March to October, ice hockey and greyhounds. In PE1 Peterborough postcode area Crawthorne Road has the highest level of turnover with over 40% of the properties have changed hands in the last 5 years. Closely followed by Grange Road and St Martins Street. Park Cresent is the highest value street in PE1 at £568,148 average property price. Broadway Gardens and Broadway round of the top 3. For details of the property we have for sale on Broadway please contact the office. 7 out of 10 of the properties in Misterton Court in the PE2 Peterborough postcode area has been bought by a newcomer in the last 5 years. St Marys Drive also has over 60% of the residents moving on within that period. In PE2 The Village is the most expensive street with property prices averaging at an eye-watering £659,277. Engaine & Trienna lead the chasing pack. In PE3 things calm down a bit with Grove Lane, Westwood Park Close & Tintagel Court averaging resident turnover at around 50% in the last 5 years. Money wise, the most expensive streets in PE3 are Vawser Cresent, Thorpe Avenue and Westwood Park Close with values over £500,000. PE4 people are moving to properties in Fenbridge Road, Beadle Way and Burghfield Green with those streets having turnover at around 40%. The highest value streets in PE4 are Littlecote Grove, Hall Lane & Chedworth Close with values upwards of £360,331. Other notable high-value streets in the Peterborough area are Mill Lane, Cotterstock, Peterborough, PE8 with property values over a £MILLION. With a number of very large detached properties on big plots backing onto the River Nene its not hard to see why. For a compact city, Peterborough packs quite a punch. The city stands on the banks of the River Nene, to the west of the Fens, and boasts evidence of human settlement in the Bronze Age, while the Anglo-Saxon era saw the building of the monastery which became Peterborough Cathedral. 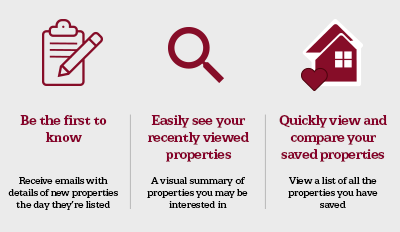 Property in Peterborough is varied to suit all needs. Terraces, detached homes and semis with anything from one to four bedrooms are to be found across the city, as well as in the surrounding countryside and villages. There is also a great variety of studio flats and other apartments. The city became a designated New Town in the 1960s, and there has been a bold £1bn regeneration of the central and surrounding areas since, leading to further expansion. Peterborough also boasts one of the UK's fastest growing economies and is traditionally a place of low unemployment. With its modern, bustling urban centre, the city is a delight for anyone seeking a little retail therapy. Queensgate Shopping Centre has more than 90 stores, is open all week and has parking for hundreds of vehicles. Cathedral Square is another vibrant central area, with street entertainment, al fresco cafes, Farmers' Markets and more! Or check out the Rivergate centre's independent traders. A major stop on the East Coast main line, Peterborough is less than an hour away by train from Central London, with regular high-speed services covering the 75 miles to the capital's King's Cross station. The A1 (M) London to Edinburgh route passes through the city, while the Millennium Green Wheel project provided 50 miles of cycleways, footpaths and bridleways offering safe, continuous car-free routes across the city. These great transport links make commuting very convenient, and there is also easy access to London Stansted and East Midlands airports. This gem of a city is packed with attractions and things to do, including Peterborough Museum, re-opened in 2011 after a £3m refurbishment, and home to a 1,550-year-old woman! Peterborough Cathedral, forming a dramatic backdrop to the city centre, is a magnificent piece of Norman architecture with a unique thirteenth century nave ceiling and stunning West Front. Two local theatres offer drama, ballet and concerts, while there are great restaurants serving up dishes from a rich variety of cuisines catering for a wide range of tastes. Bars and clubs keep Peterborough buzzing until the early hours. The city is also home to a wide range of special events including the annual East of England Show, Peterborough Festival and the CAMRA beer event. With award-winning parks, watersports, countryside walks and places like Ferry Meadows Country Park on the edge of town, residents can enjoy the amenities of a modern city while still having plenty of breathing space. Finally, the city is home to the flagship Thomas Deacon Academy, the Voyager School, which has specialist media arts status, and two further education colleges, completing the picture of Peterborough as a city offering a fantastic quality of life. There's so much to see and do - why not visit the beautiful Norman Cathedral.